Our company is ranked amidst progressive distributors of the product in Nashik(India) as well as varied other marketplaces. With the outstanding storage facility, we are capable to meet urgent and massive requirements of the customers. Also, we keep it updated to meet industry standards. 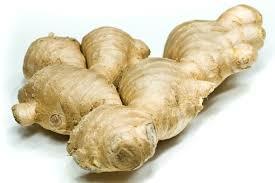 Fresh ginger is used as a popular home remedy for the treatment of cold, cough, fever, chest congestion, sore throat, etc.